View cart “Naish Thrust WS1 Foil” has been added to your cart. 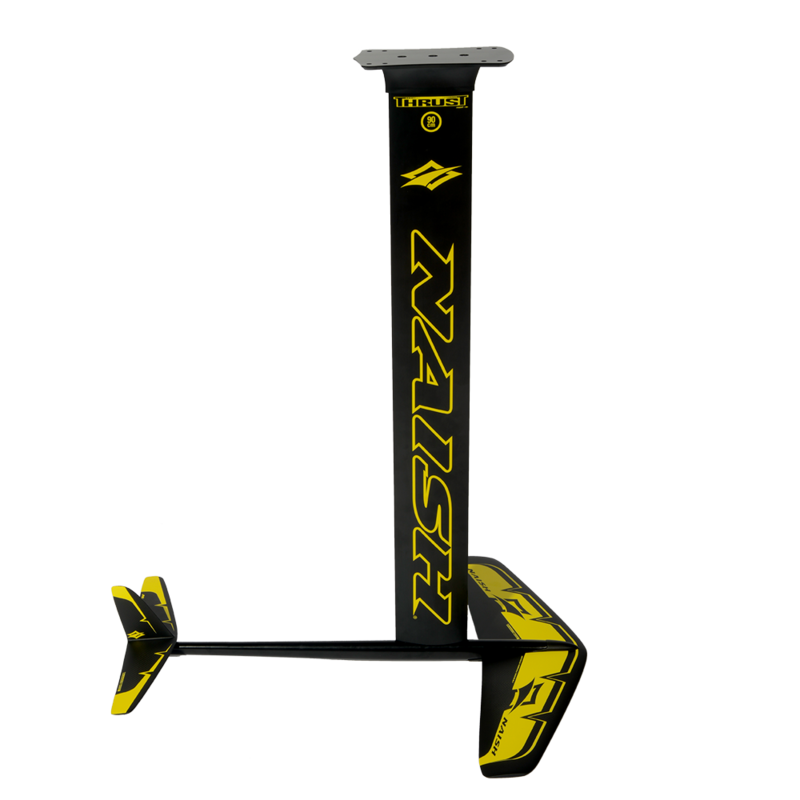 Developed by the Naish team, the Thrust KS Foil is fast and stable, inspiring confidence yet delivering plenty of straight line mojo. 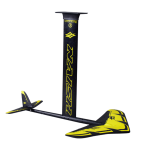 The kite-specific flat main wing planes up quickly for smooth take-offs, and situates itself naturally in the water for a balanced ride – it tracks beautifully thanks to a rudder integrated into the stabilizer (rear wing), and moves upwind and downwind with ease. 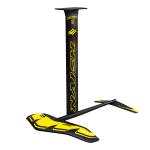 The long fuselage adds additional stability, and Naish’s unique stabilizer adjustment system allows to entire set up to be optimally tuned for individual riders. 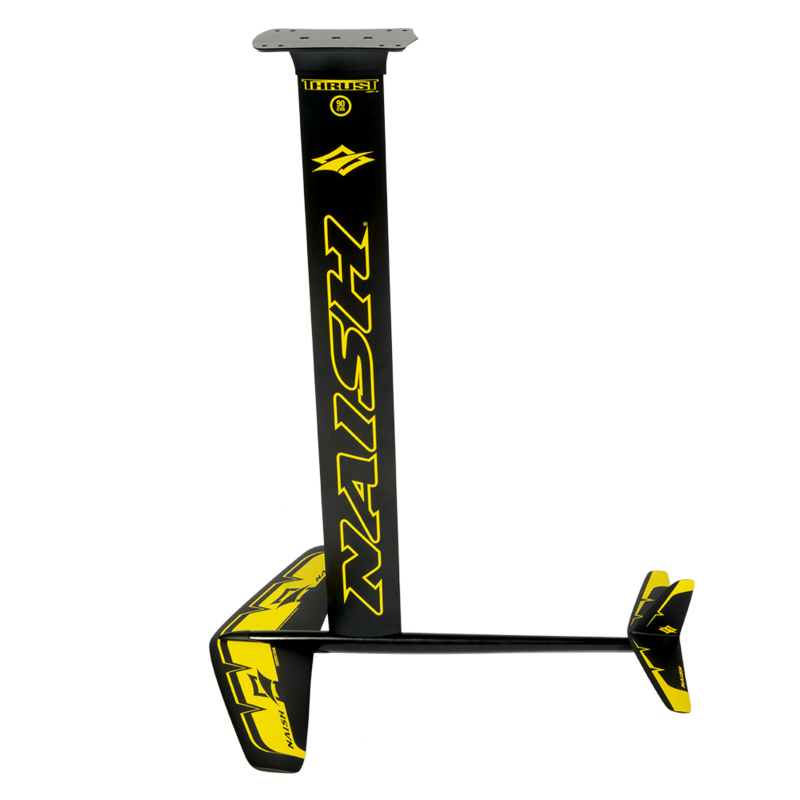 The long (90 cm) extruded alloy mast can be retrofitted to any style box system. 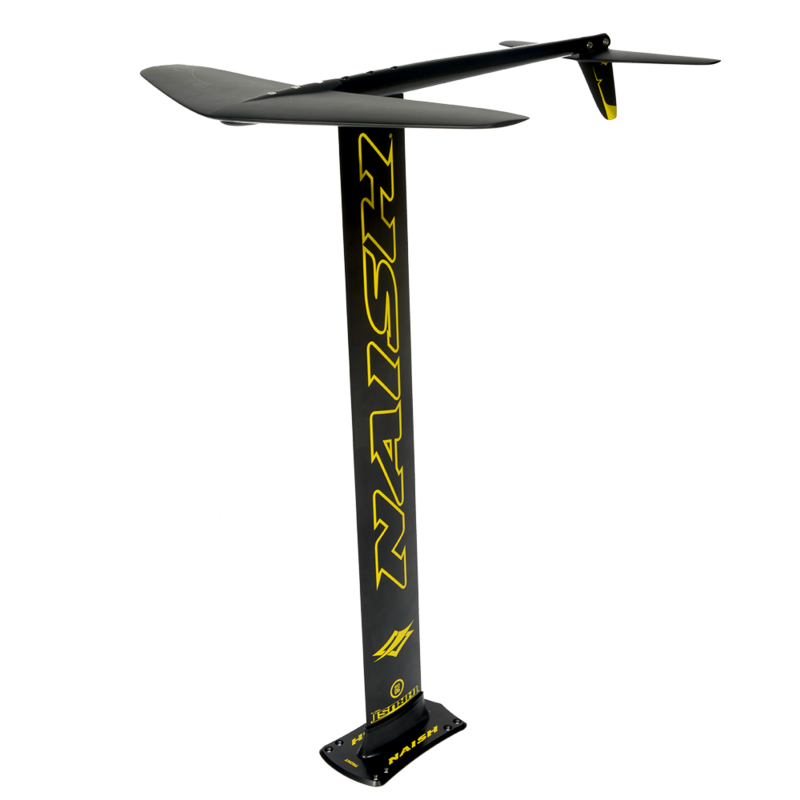 This deceptively clean design has dominated our side-by-side testing, and the Naish team of riders is growing every day as more people try our foil. 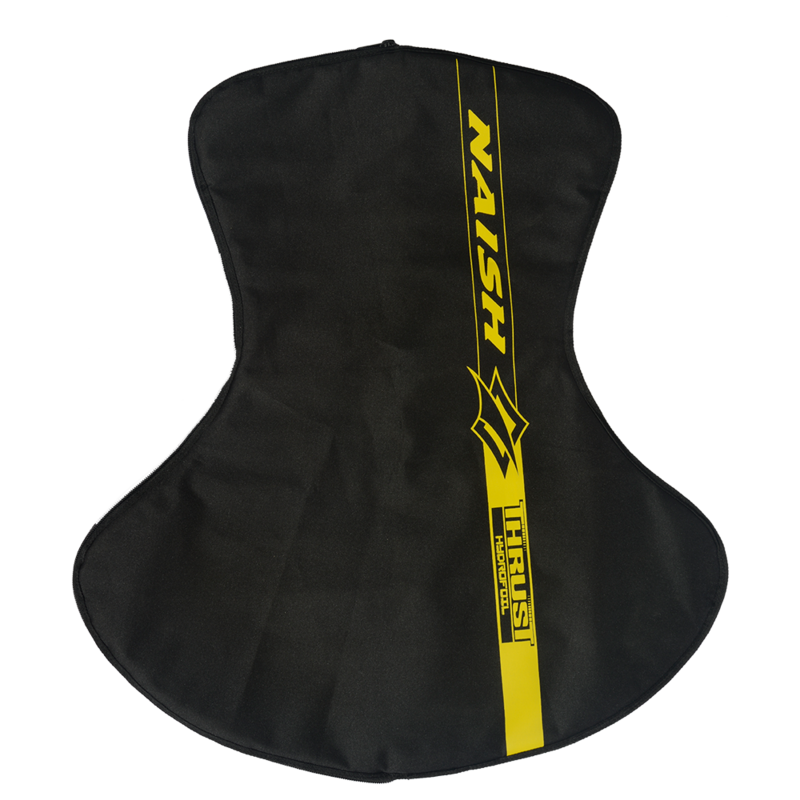 All Naish Foil Systems include a premium padded cover. 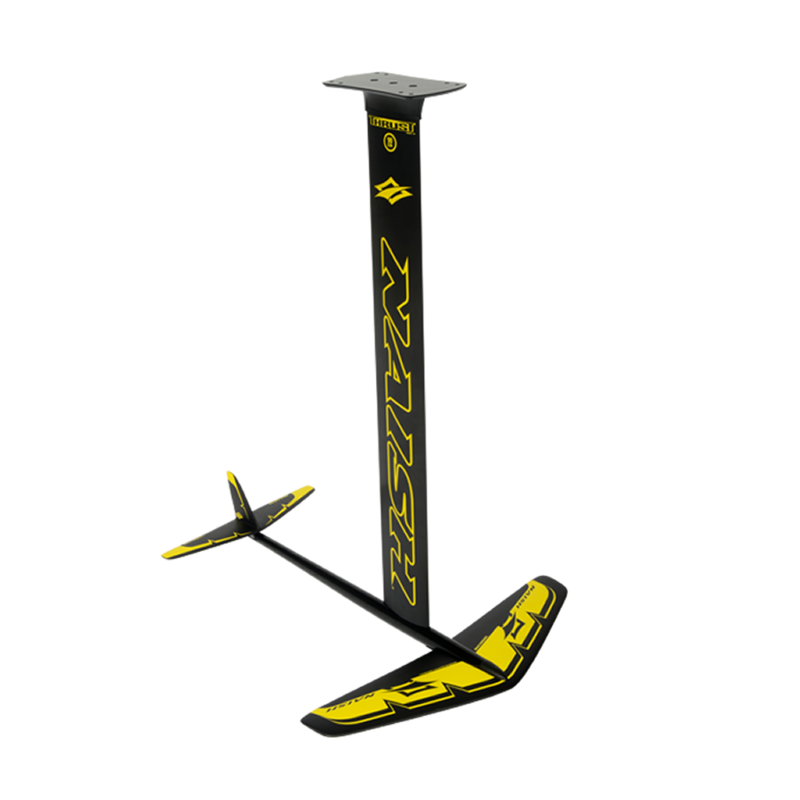 High performance flat wing foil delivers the perfect balance between speed and steady flight.